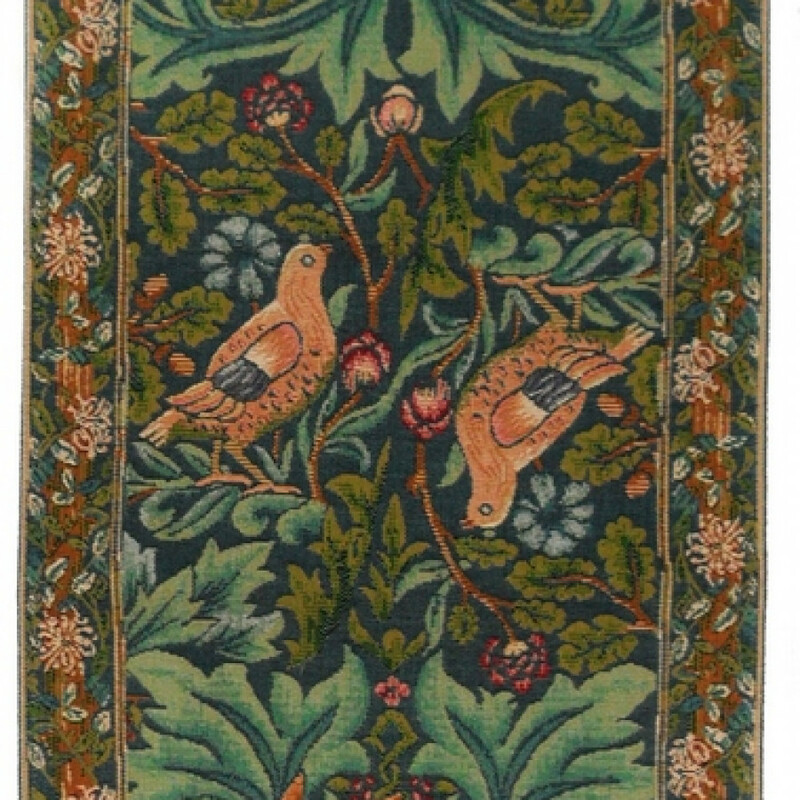 This small jacquard table runner tapestry is inspired by the William Morris' fabric "Brothers birds and Brothers rabbits". It is woven in cotton, lined with a plain beige cotton fabric and has two tassels. 36 x 85 cm - 14" x 33"